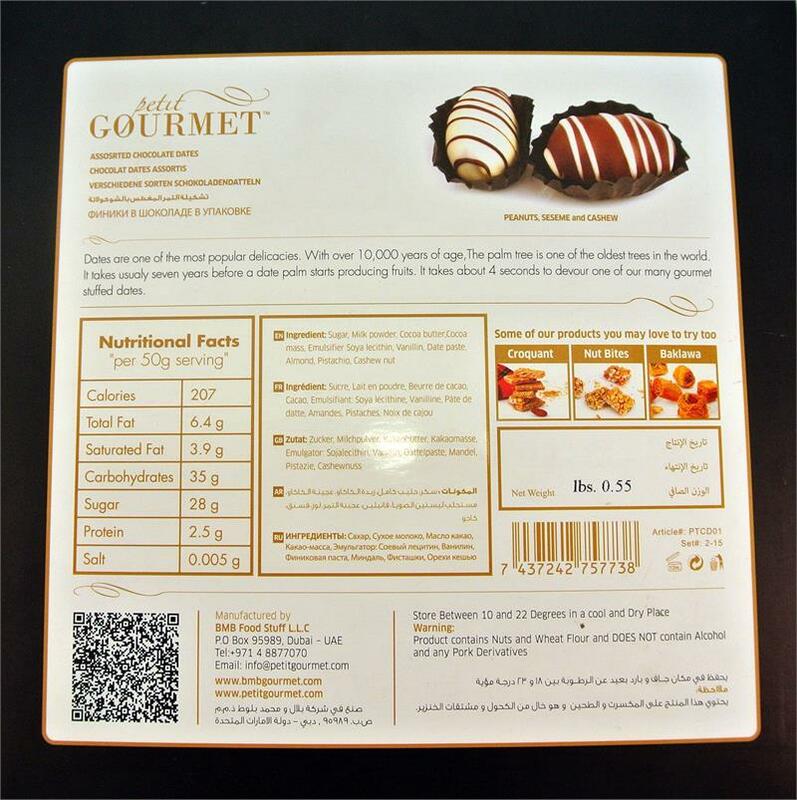 ★ INDULGE IN LUXURY: Dates are one of the most popular delicacies. With over 10,000 years of age, the palm tree is one of the oldest trees in the world. It usually takes seven years before a date palm starts producing fruits. 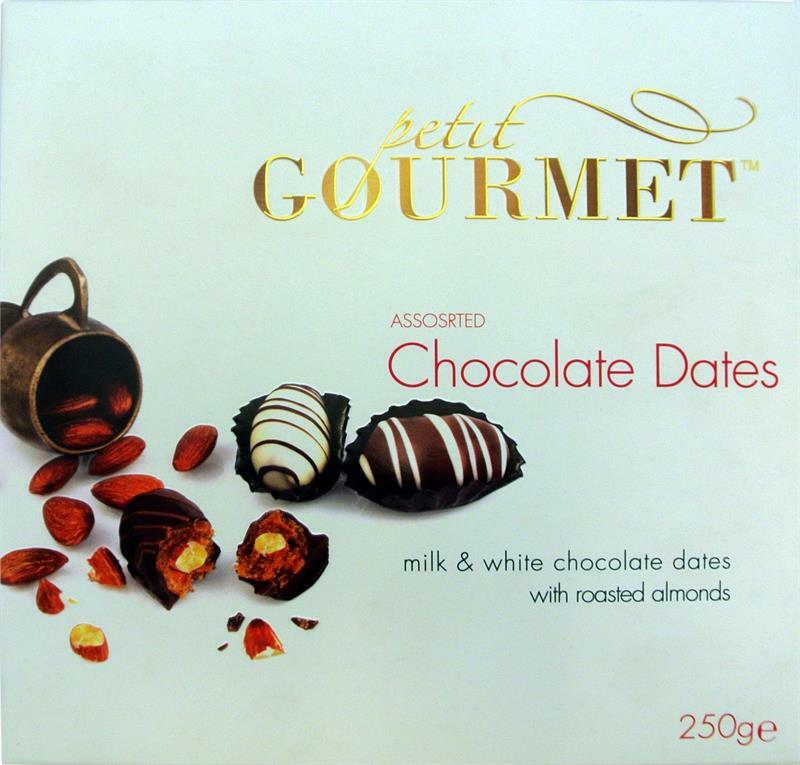 It takes about 4 seconds to devour one of our many gourmet stuffed dates. ★ CONNECT WITH LOVED ONES: It's variety makes it ideal for sharing. 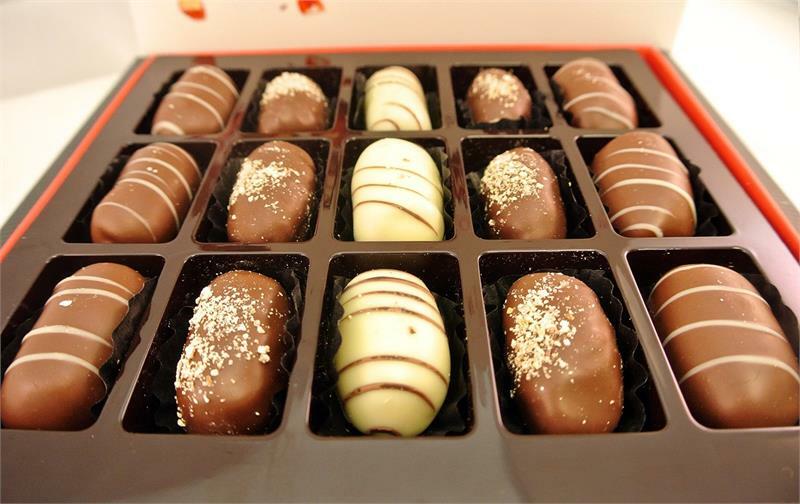 But if you prefer to keep these delicious treats to yourself, we promise not to tell anyone. 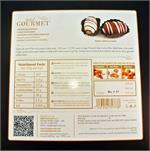 ★ IMPRESS RELATIVES NEAR AND FAR : Worried about receiving melted chocolate? Rest assured, all boxes are packaged safely in state of the art temperature controlled storage, and sealed air tight to ensure maximum freshness. Your guests are in for a treat. ★ IT'S THE REAL THING: Our historic dessert combines traditional recipes with modern quality control standards. Handcrafted in the far reaches of Dubai then instantly air shipped direct to American soil. It doesn't get any more authentic than that! 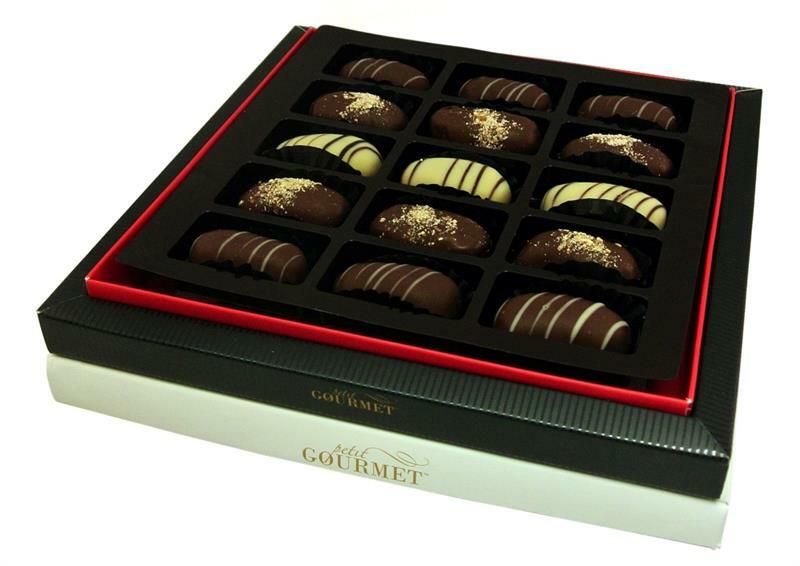 Whether you're staying in or going out, our Petit Gourmet Arabian Sweets are a fitting indulgence. 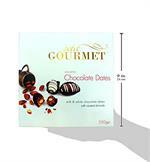 Enjoy them after a cozy meal at home, or bring them to a dinner party as a treat to share with friends. Dates are one of the most popular delicacies. With over 10,000 years of age, the palm tree is one of the oldest trees in the world. It usually takes seven years before a date palm starts producing fruits. 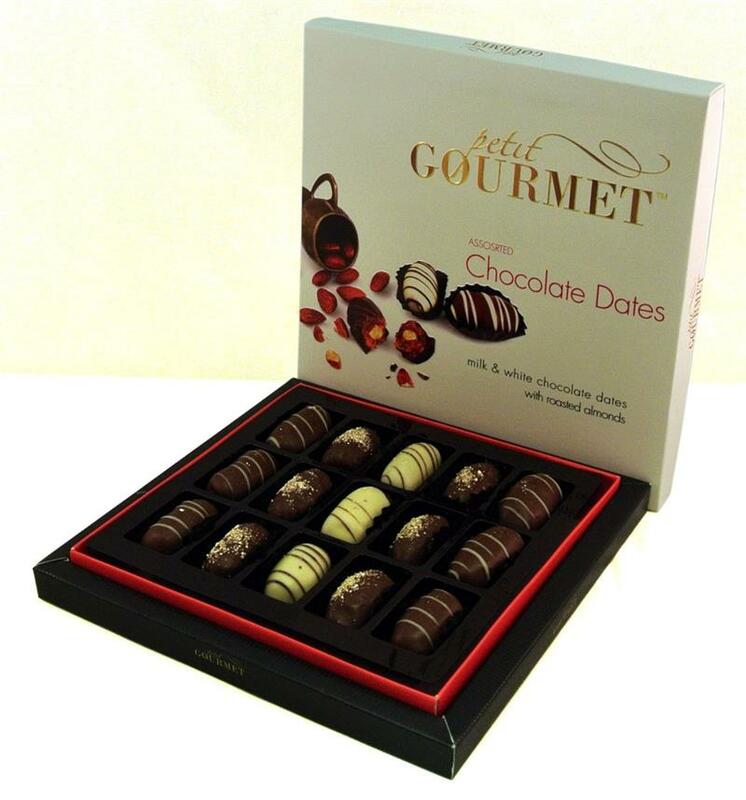 It takes about 4 seconds to devour one of our many gourmet stuffed dates. We do our best to stand out by handcrafting our treats using only the finest ingredients. In order for us to ensure the best gourmet experience for our customers, we then immediately air ship the final prepared treats. This attention to quality and our focus on the customer experience has caused us to stand out among the rest. Our goal is not to provide the largest pastry, nor is it to mass produce the cheapest candy. Our goal is to become memorable in the minds of our loyal customers. Because we know that when you open up our delicious treats for your family or cozy up next to that special someone, you'll be sure to remember that gorgeous box of chocolate dates and the special people you shared it with :) It is moments like these when we're proud to say that we only provide the best and the most authentic moments. 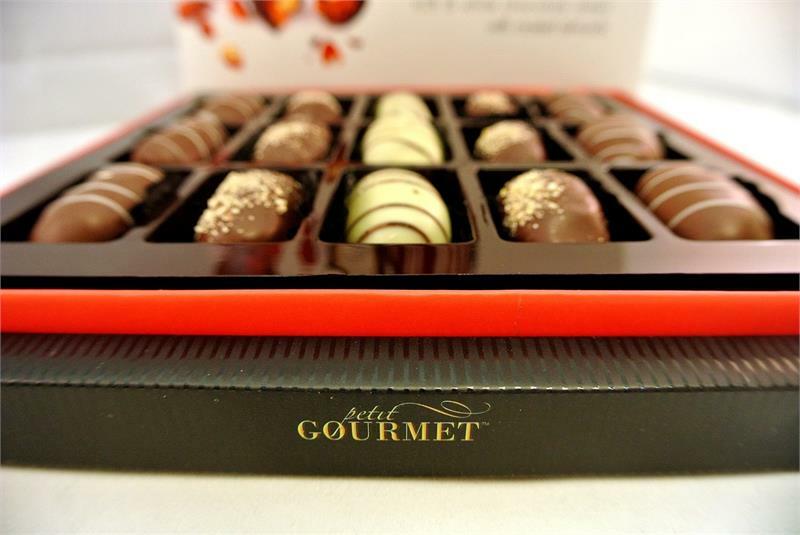 Our gourmet chefs prepare confections from the far reaches of Dubai, and welcome their delicacies to the rest of the world. 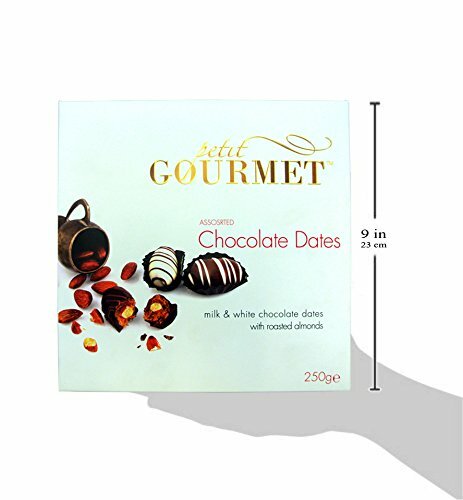 A normal box of chocolates could be enough for the holidays but a box of Petit Gourmet Chocolate Dipped Dates will make the holidays unique.